For the 2030 sustainable agenda to succeed, says the United Nations, partnership and collaboration must be given a disciplined attention. This world body further stated that the scale and ambition of this agenda calls for smart partnerships, collaborations, ecosystem thinking, co-creation and alignment of various intervention efforts by the public and private sectors and civil society. While this ideology which is targeted at ending poverty and promoting peace and justice is implicitly canvassed at the global stage, the part to having it achieved here in Nigeria remains windy and riddled with obstacles as the current happenings at the oil-rich Niger Delta signposts a perfect opposite of this global demand. The daily demonstration of disinterest in going beyond the customary Corporate Social Responsibility (CSR) or assist in bridging the infrastructural gap in the region by the operators of the nation’s up, mid and downstream of the Nigeria oil sector underscores this assertion. Going extra miles in their view is antithetical to the corporate existence spirit; a disposition that has in turn made their relationship with the various host communities hot and cold. This is even made worse by the weak regulatory/monitoring ability of the state actors/agencies. A state of affairs that supports the established belief by the Niger Deltans and civil society groups that the Niger Delta in the estimation of the oil companies is an endangered species marked for extinction. 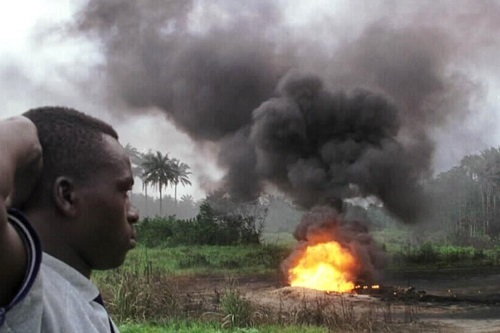 Nevertheless, it is, however, not as if the federal government is making any effort in getting the problems of the region solved; as events that unfolded in recent weeks have pointed to the fact that some powerful Niger Delta indigenes may actually be the real enemies of the region. The unsatisfactory coordination of the federal government Amnesty Programme by appointed Niger Deltans bear eloquent testimony to this fact; as it has hitherto been viewed not as an opportunity for the public good but as an avenue for private gain. Conversely, the beneficiaries have since breathed a sigh of relief following this FG’s prompt intervention in removing, and subsequent replacement of the handlers whom critical stakeholders perceived as a reality the beneficiaries worried about. This development notwithstanding, if the FG should think that the appointment of Professor Charles Dokubo as the new amnesty coordinator would solve the multifaceted Niger Delta challenge can only but meet with a mirage as the stakeholders have since pointed out that the region’s challenge goes beyond the amnesty programme. From the stakeholders’ posturing, it is possible to discern two kinds of development/worries with the most fundamental being the unwillingness of the Oil companies to exhibit the attributes of good corporate citizens/neighborliness to the people of the region. An observation that is mirrored in the ‘reluctant respect’ for the Global Memorandum of Understanding (GMoU) the oil companies so entered with the various host communities. Apart from a few that stakeholders praised for their community engagement templates; other operators seem to enjoy a frosty relationship, a moral burden rather than goodwill from their various host communities. Another challenge that may at a significant level derail the much anticipated peace/development in the region is the lip service and lackluster approach in monitoring/enforcement by the Federal Government and its regulatory agencies as a recent report on the Niger Delta affairs discovered thus; ‘Abdication of regulatory responsibilities by government agencies and departments charged with protecting the environment through standard setting and enforcement’. In the same breadth, critics of the government have also expressed deep worries that the government by this action is but perpetuating poverty and promoting powerlessness in the region. But looking at commentaries, the FG’s recent appointment of Dokubo as the new Boss of the Amnesty Programme is prized as a right step taken in the right direction looking at his pedigree, and experience. But, just before we over celebrate, it is germane to point out other accompanying challenges facing the region which of course may thwart the Amnesty outcome. Chief among these fears is the Oil Major’s troubling penchant for litigation against their host community using their financial muscles and non-compliance with the international best practice. From Ogoni to Erovie community in Ozoro, Odimodu/Forcadus to Ogulaha communities are but some victims of such high-handedness. Regrettably, the points often overlooked by these operators when doing these unwholesome activities is that it fuels youths restiveness, high unemployment rate, with insecurity as a resultant effect. Explicitly, for amnesty’s programme to succeed and peace restored in the region, we must be holistic in approach. The government and the corporate organizations operating in the region must show more commitment in the area of youth employment/absorbing of the trained amnesty beneficiaries. 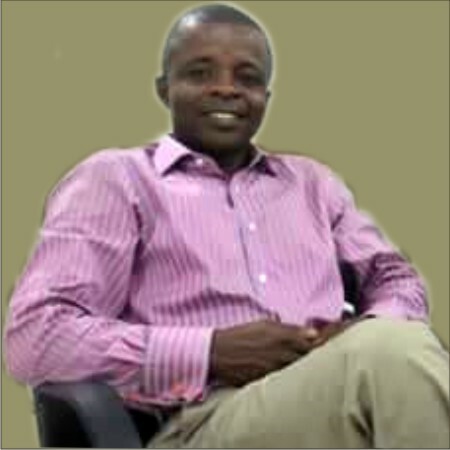 More important than other political moves made in recent times is the need for the Presidency to get directly involved in the development of the region as the vast majority of Nigerians do not see the rationale behind the establishment of neither the Niger Delta Ministry nor the Niger Delta Development Commission (NDDC), bodies bogged down by bureaucracy and other factors you can think of. Again, critical stakeholders have argued from the standpoint that since Lagos and Abuja did not require any ministry for their development back in the day, why Niger Delta? To avoid any unpleasantness denting the agenda, it is in my view imperative that the region is developed in order to meet up with the 2030 sustainable deadline, as a failure of Nigeria translates to Africa’s failure which will in turn have a direct impact on the entire sustainable agenda. Catalyzing this process, stakeholders are calling for the implementation of the 16 Point agenda as submitted by the Pan Niger Delta Development Forum (PANDEF). Others are of the opinion that the FG adopts and implements the Chevron Nigeria community engagement template in infrastructural development by dealing directly with host communities. In all, one thing stands out; Niger Deltans are desirous of development. A feat only government (FG/states) and the Multinationals can in partnership achieve as the people patiently wait. Very insightful, casting light on a troubling situation.